The fun begins at Disney! The memories of taking your kids to Walt Disney World or Disneyland is something they'll remember for the rest of their lives. 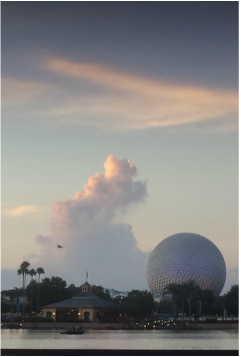 The Magic Kingdom, Epcot, Hollywood Studios and Animal Kingdom are just the tip of the iceberg in Orlando Florida. Explore Magic Kingdom's new Fantasyland too! In California visits to Disneyland Park, Disney California Adventure Park and Downtown Disney District are sure to create lasting memories. Amazing memories for everyone in your family! How about the water parks? In Orlando, Disney's Typhoon Lagoon or Disney's Blizzard Beach are a great way to soak up the sun and keep cool at the same time. Check out all that a Disney Vacation can be! Exploring new destinations on a tour with Disney is a great way to reconnect as a family. Visiting the U.S. National parks, the castles of Norway, or an African safari are just a few of the adventures that await you on an Adventrues by Disney vacation. The island of Oahu, Hawaii has a magical resort that celebrates the Hawaiian culture and all the magic that is Disney. Aulani, a Disney Resort and Spa is located in Ko Olina and is a perfect place for the family to vacation while exploring Hawaii. A Disney vacation can bring your family so many great memories. To find out more, click on the castle to bring you to my Disney Parks site that will give you a wealth of information to get you excited about all things Disney! This Disney Cruise Line video gives you a great overview of all that a Disney Cruise has to offer families, kids, and adults.